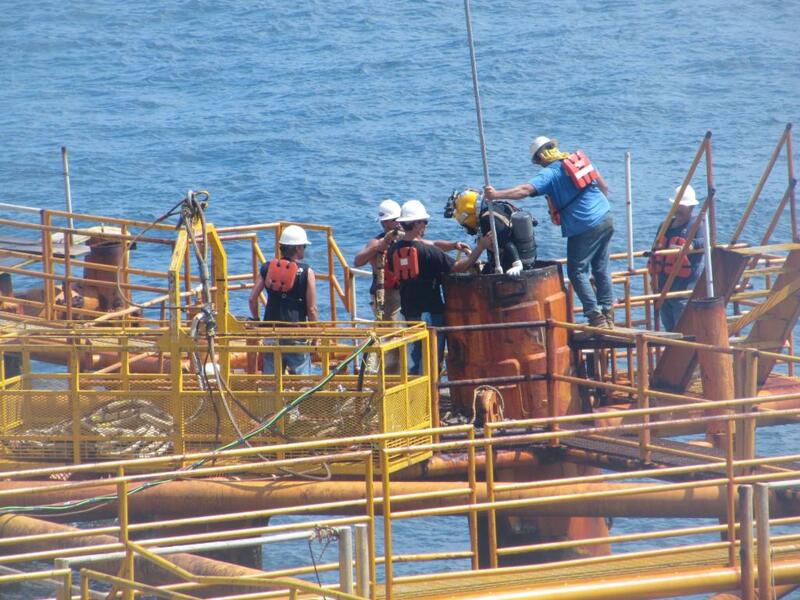 Platform Decommissioning - Global Diving & Salvage, Inc. 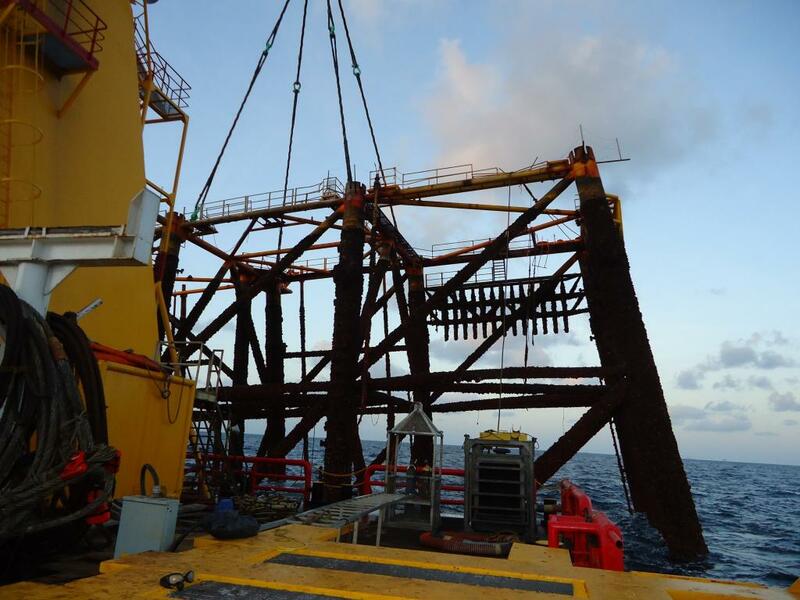 Working aboard the D/B Superior Performance, Global provided mixed gas diving support to WWCI for the removal of an 8-pile platform jacket. Diving operations were conducted to a depth of 218 fsw. Due to internal obstructions, divers utilized diamond wire saw tooling to cut two of the jacket legs. The remaining legs were cut utilizing underwater burning rod. Once the platform was cut loose from the bottom, it was towed to an off-site location.